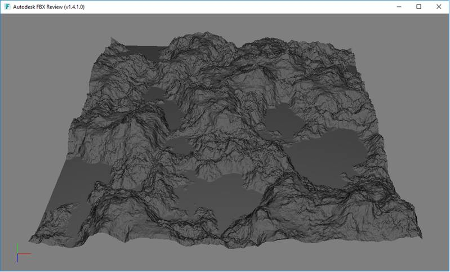 This node exports a terrain in the form of a mesh as an .fbx file. To add an Export mesh node, right click in the Graph Editor and select Create Node > Export > Export mesh. Choose a file name and directory: Enter a file name and click the folder button to browse to the directory where you want to save the mesh. 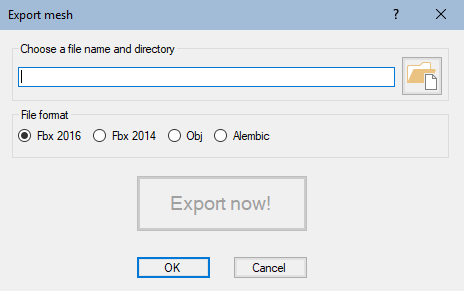 File format: Choose between Fbx 2016, Fbx 2014, and Obj file formats. 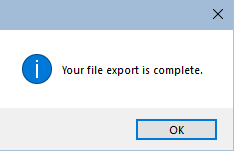 Click the Export now! button, which triggers the terrain calculation and saves it in the file once the mesh is completely created. Now you can open the .fbx file in any software that reads .fbx files. File name Name and directory of the exported mesh file. File format File format: Fbx 2016 or Fbx 2014.